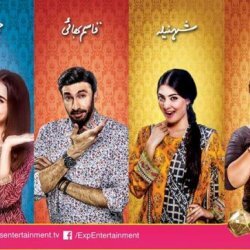 Bewaqoofian is a Pakistani drama which is aired at Pakistani drama channel ARY DIGITAL. This is a very famous serial because this is an amazing comedy serial. This serial is revolved around a story of a jobless husband and a beautiful wife and a cruel mother. If you are looking for Bewaqoofian drama actor names, repeat timings, OST title songs, photos and videos then you can find them here. You can also find the public opinions and reviews about Bewaqoofian drama here.